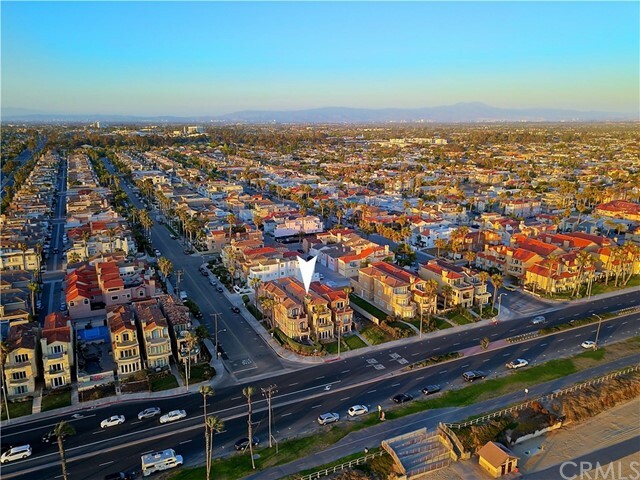 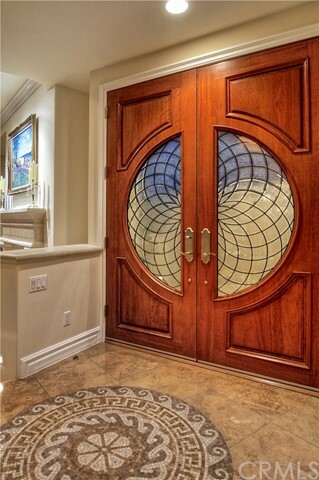 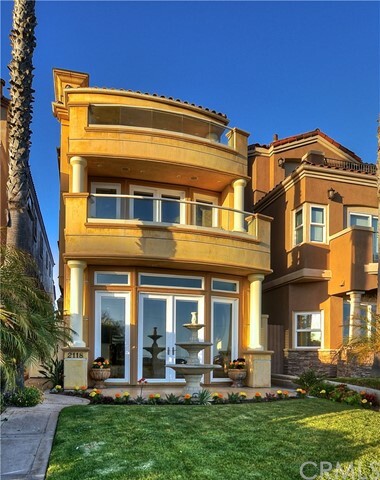 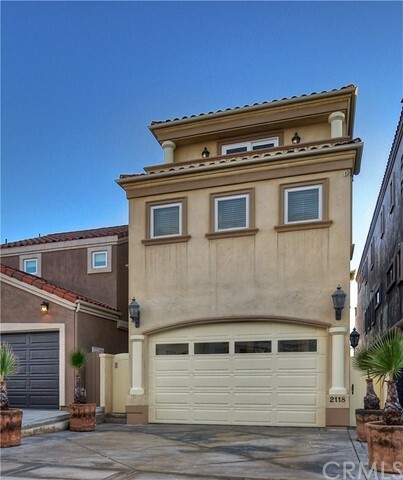 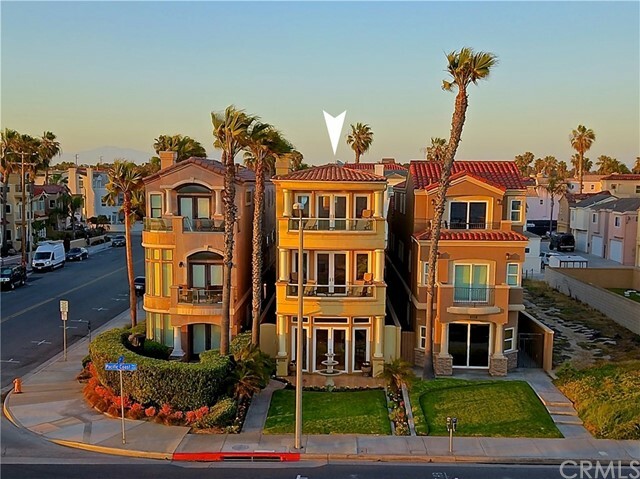 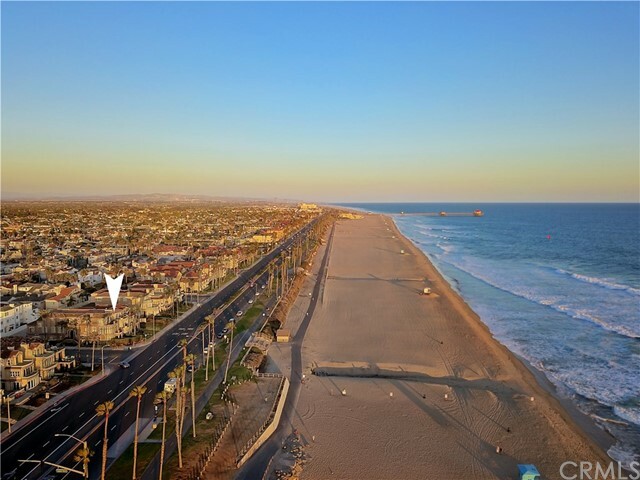 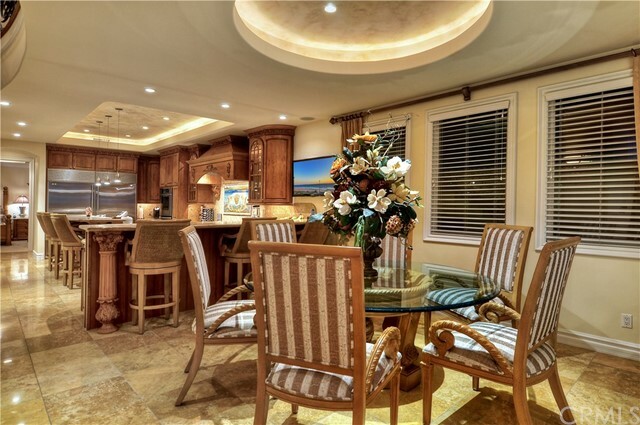 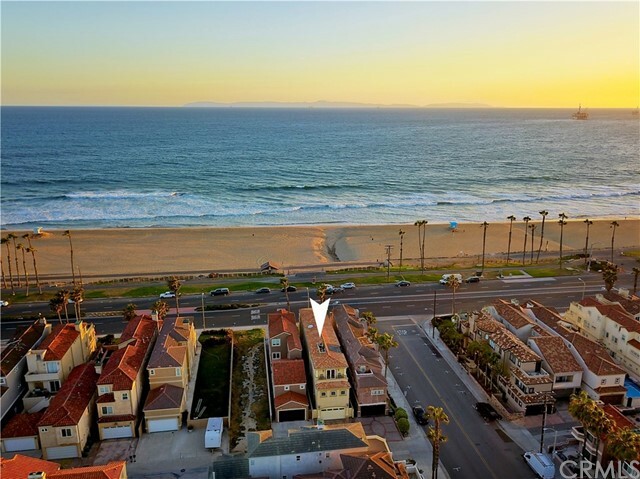 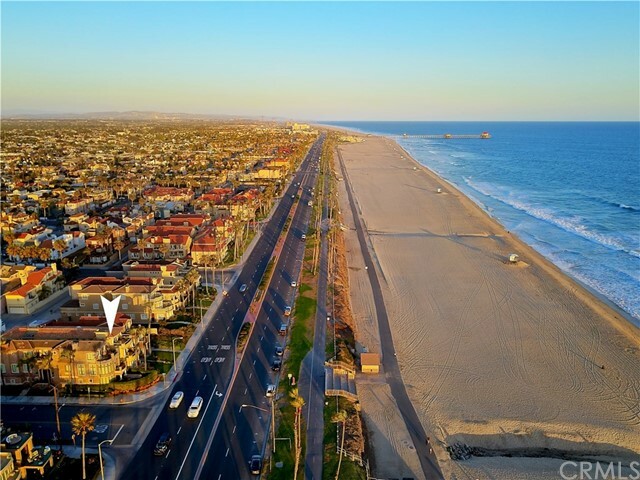 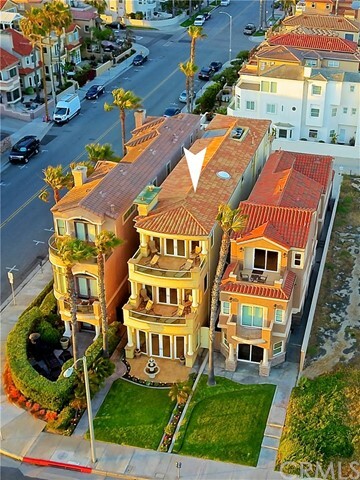 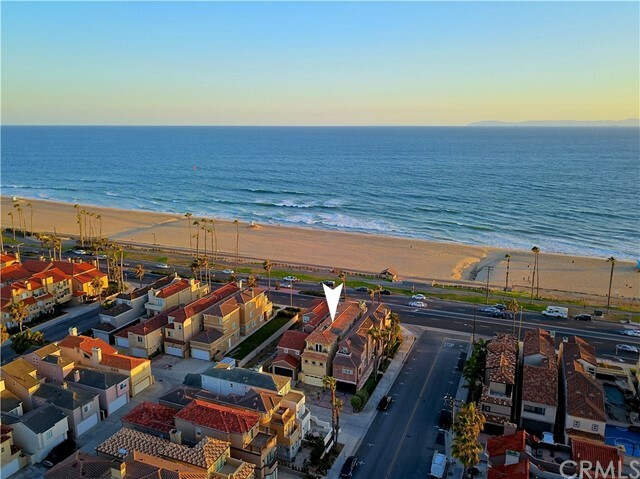 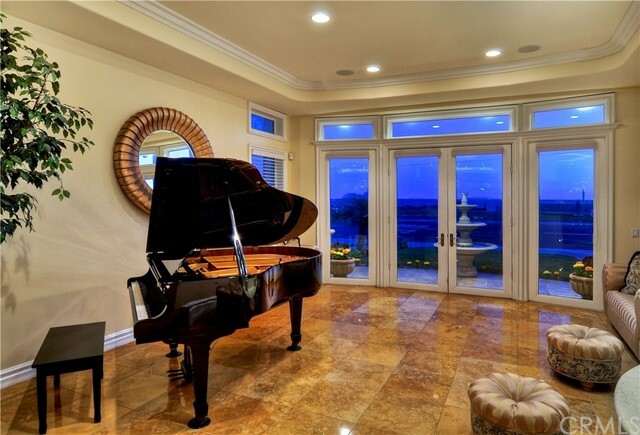 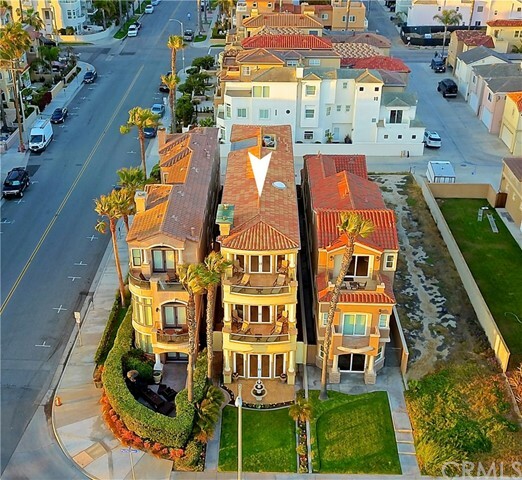 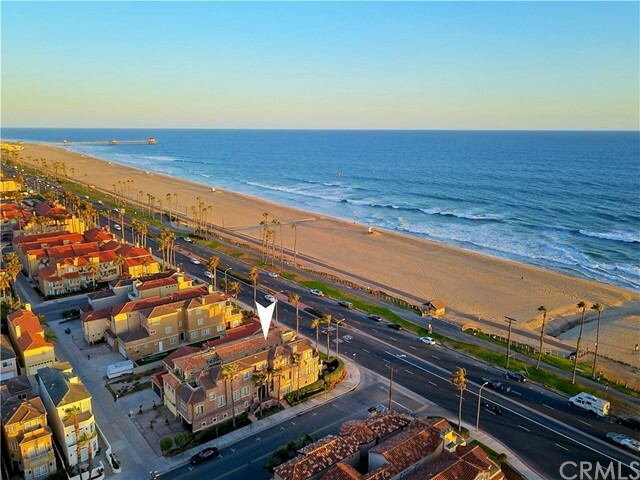 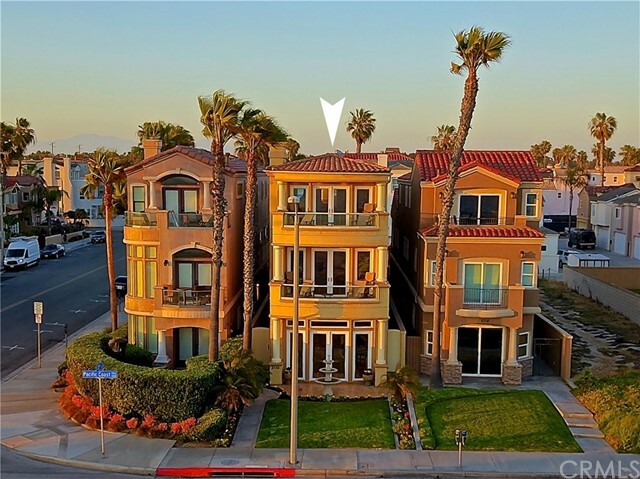 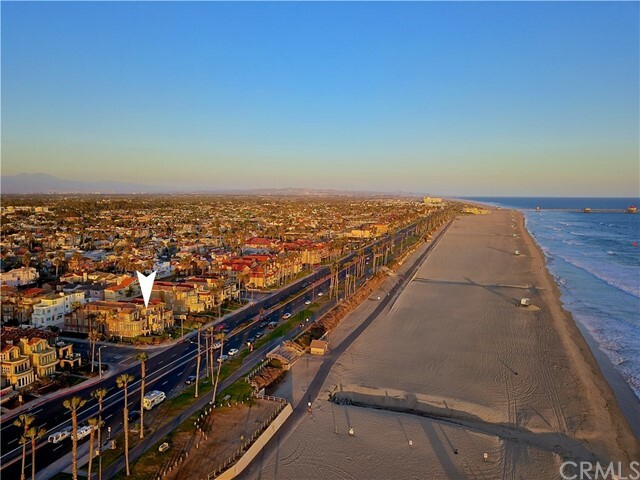 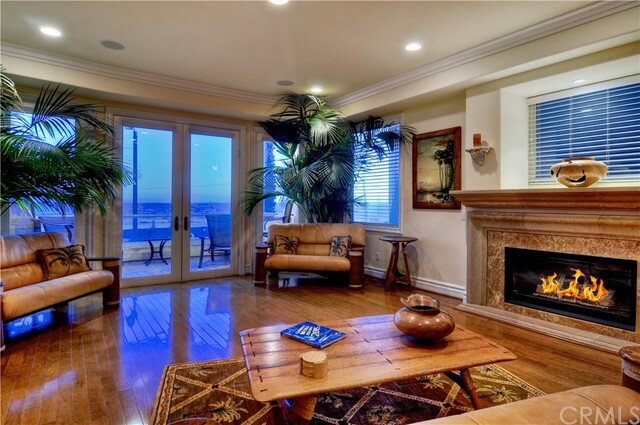 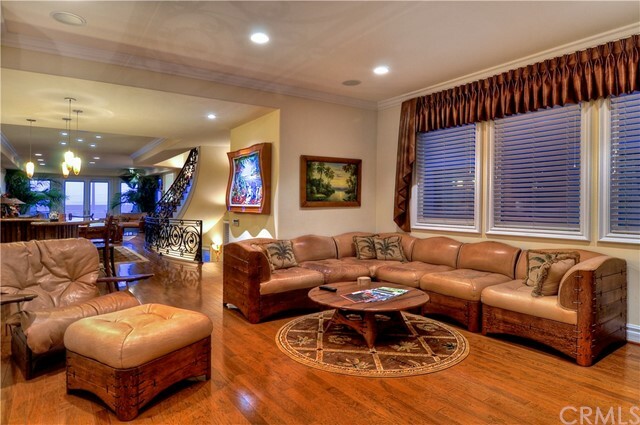 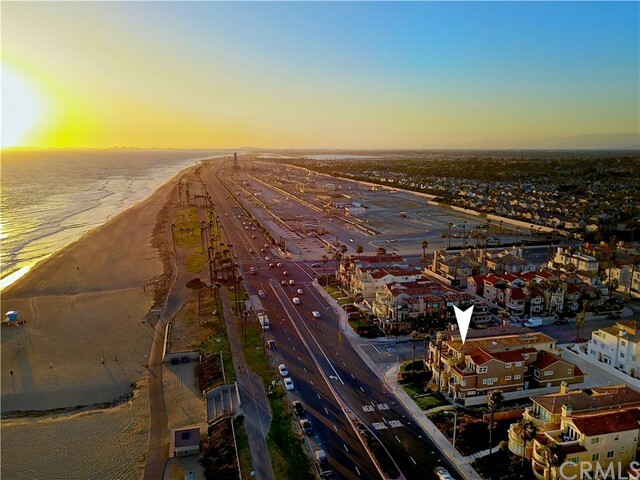 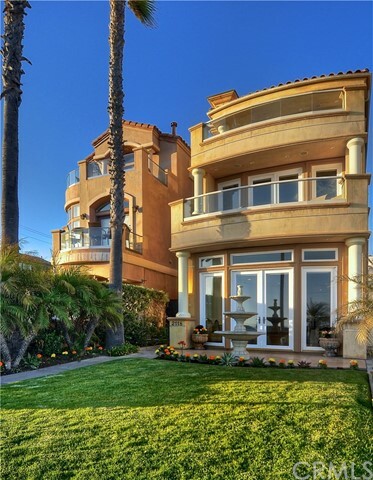 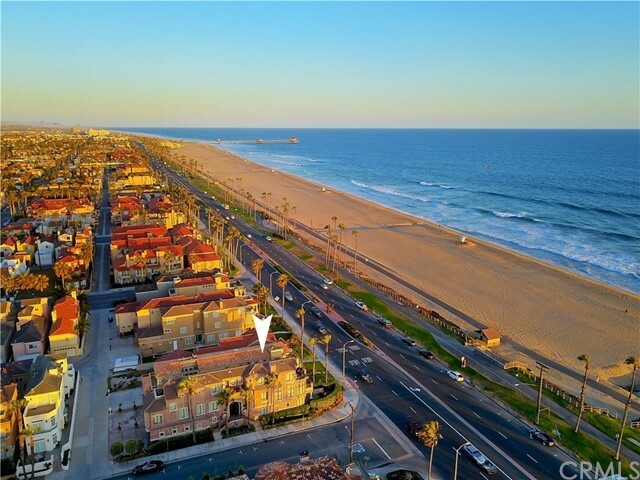 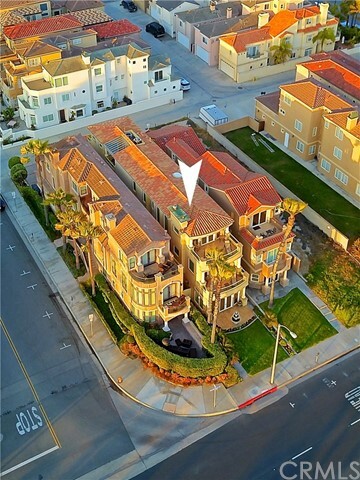 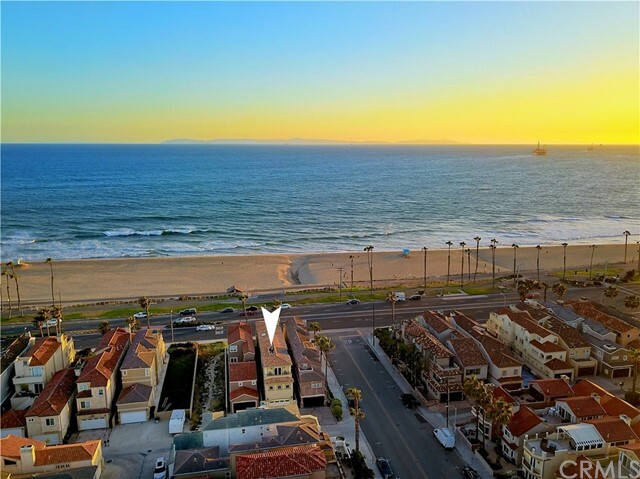 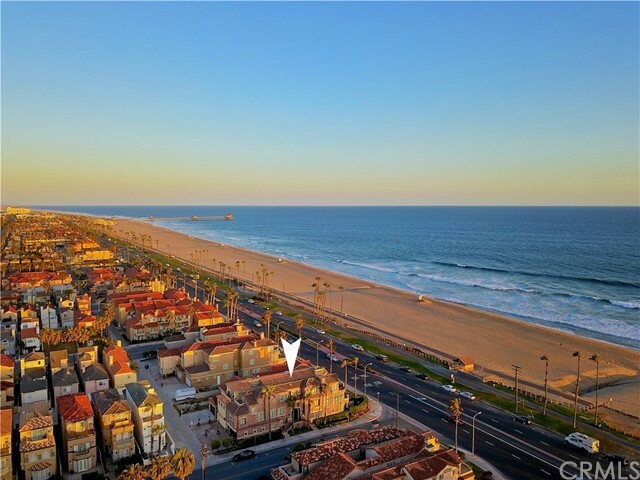 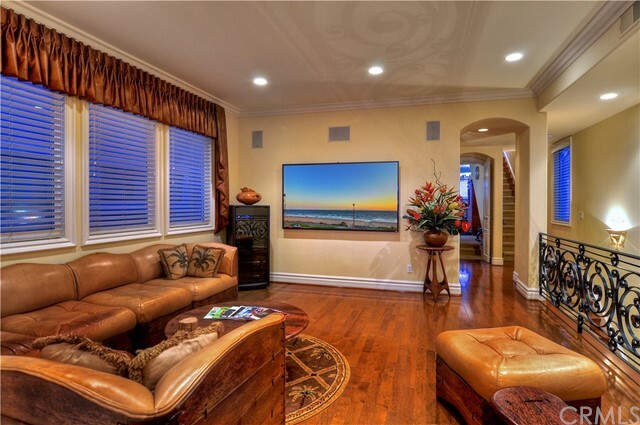 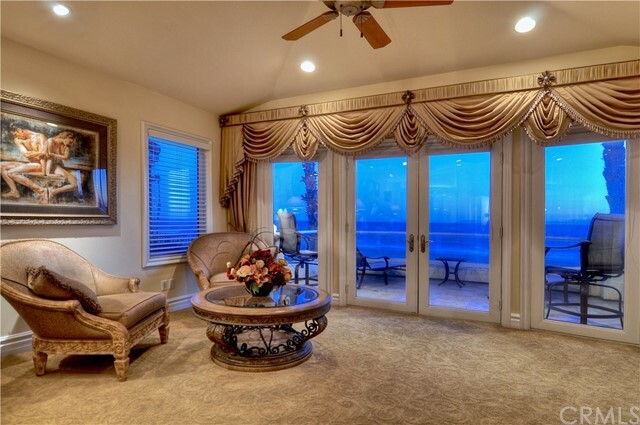 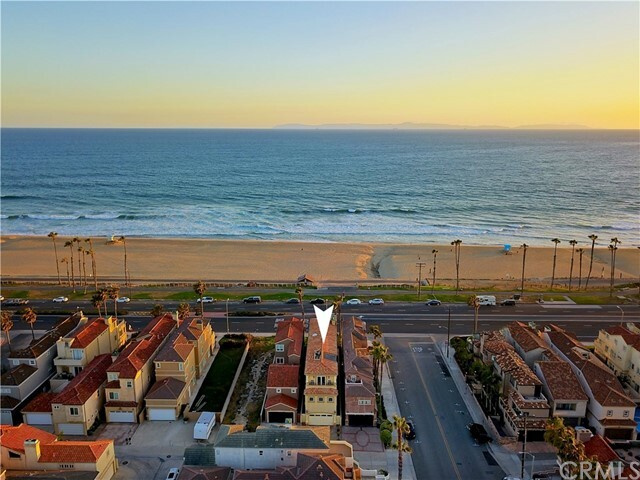 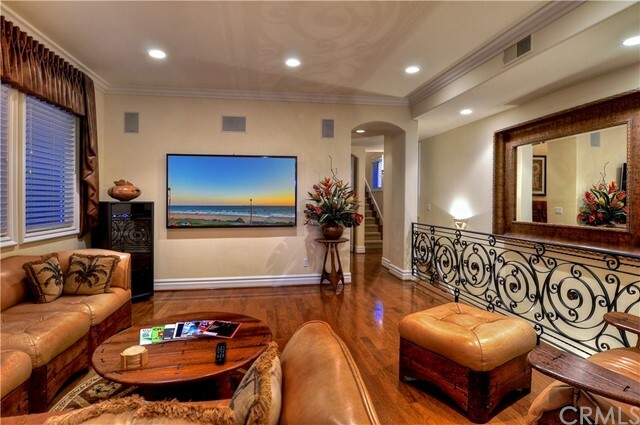 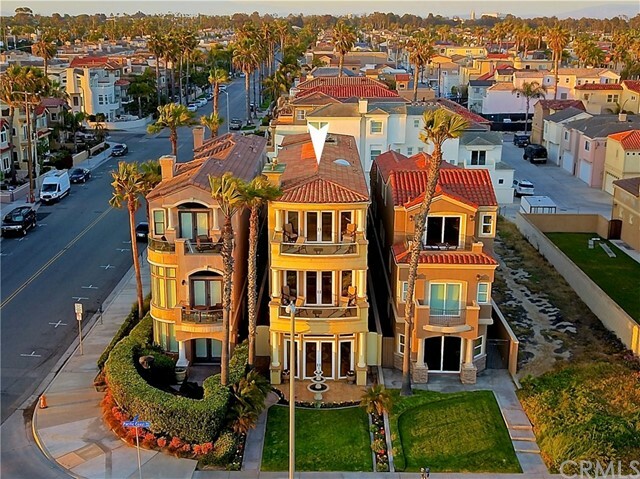 This is the nicest home facing the ocean in Downtown Huntington Beach. 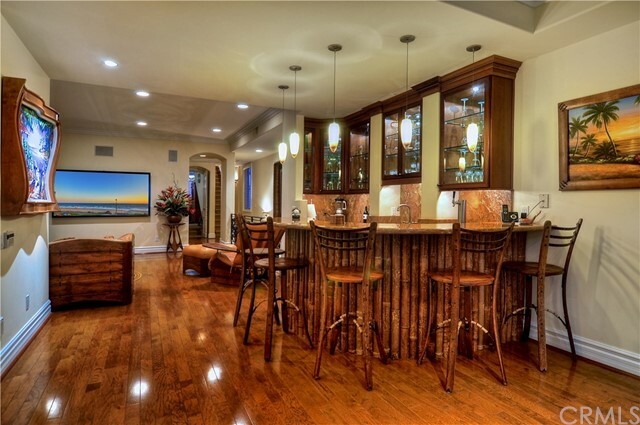 Every inch of this home was designed /picked and inspected by the current owner who had it custom built to all his specifications. 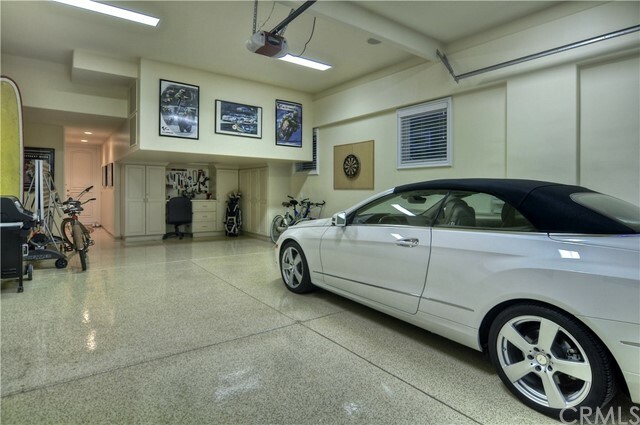 The first floor has a 4 car epoxy floored garage plus a driveway that will accommodate 2-3 more cars. 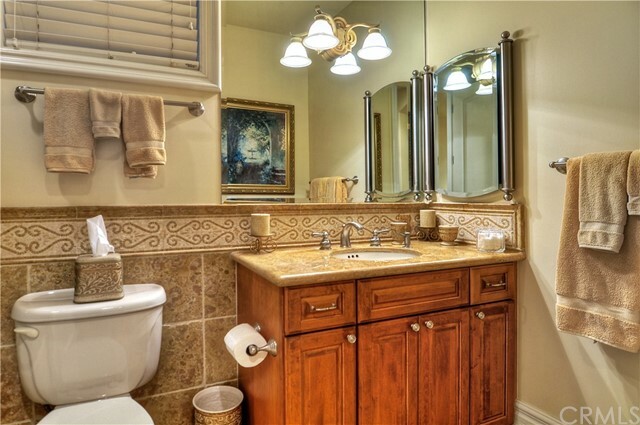 One bedroom and bath located on the first floor. 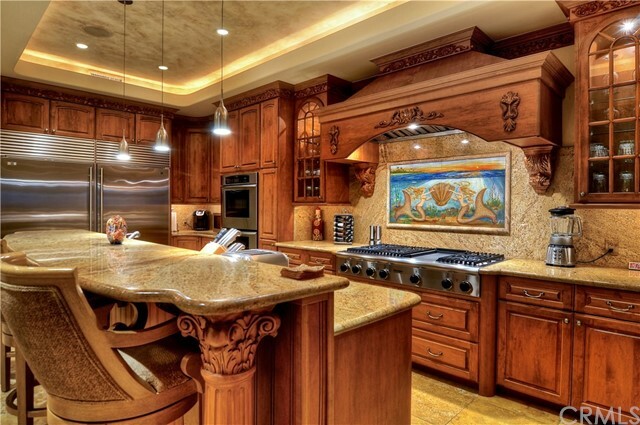 Custom kitchen by Omega with rounded wood /engravings. 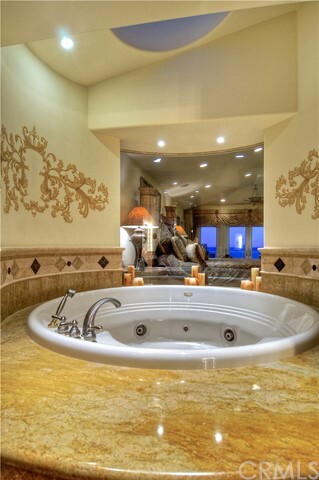 Hand picked travertine -Tuscany Gold. 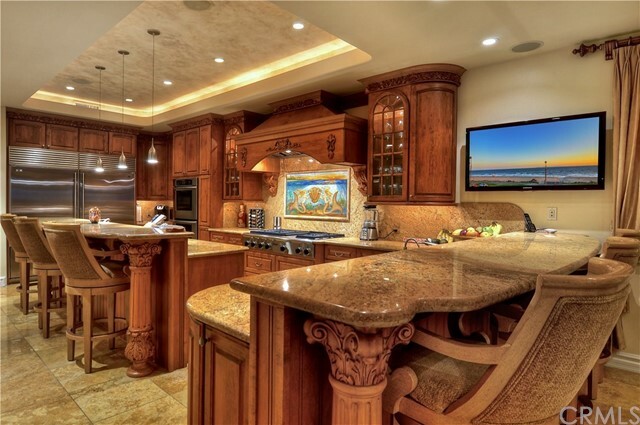 Stainless appliances by Thermador-Twin built in Sub Zero fridge. 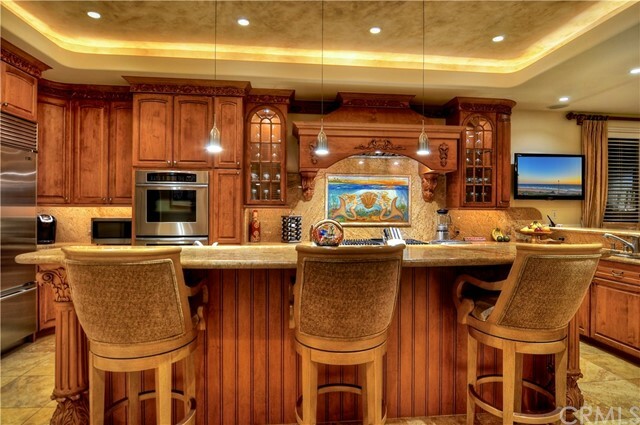 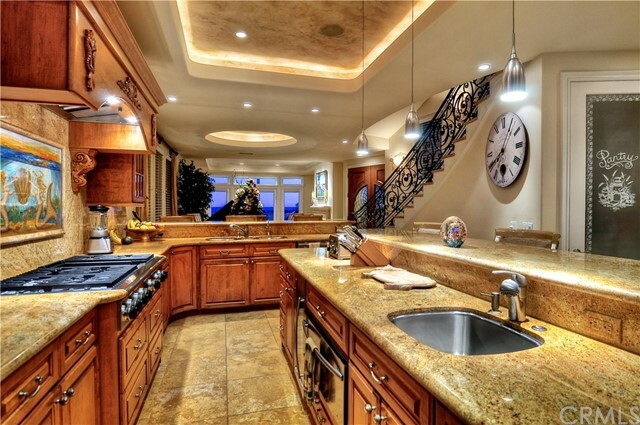 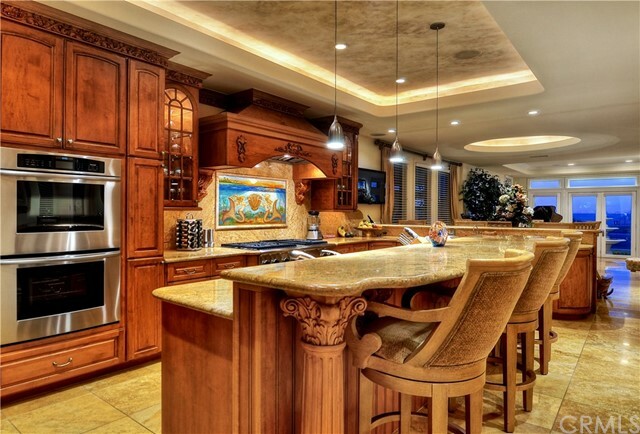 This kitchen has been in Magazines!!! 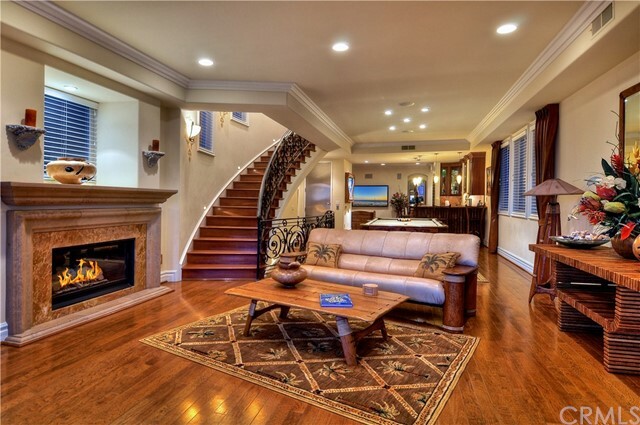 Formal dining room, step down living room with enlarged fireplace. 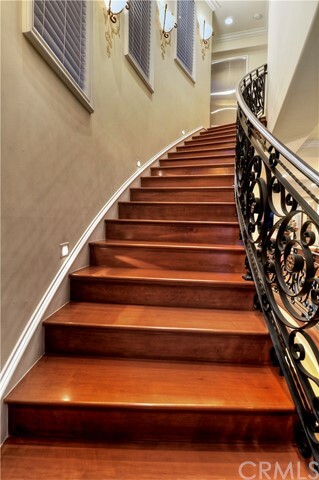 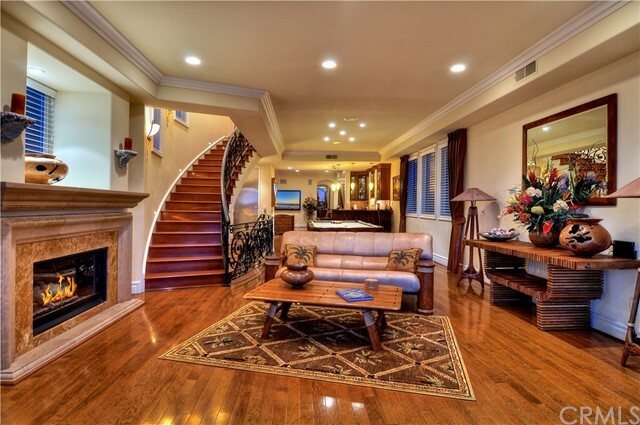 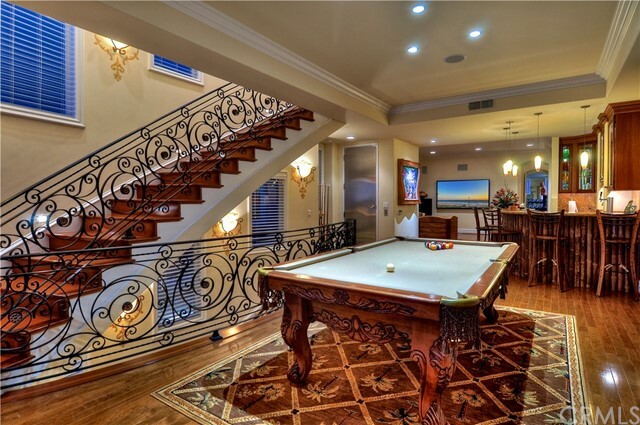 Sweeping staircase to all 3 levels, customized with wrought iron/travertine and wood. 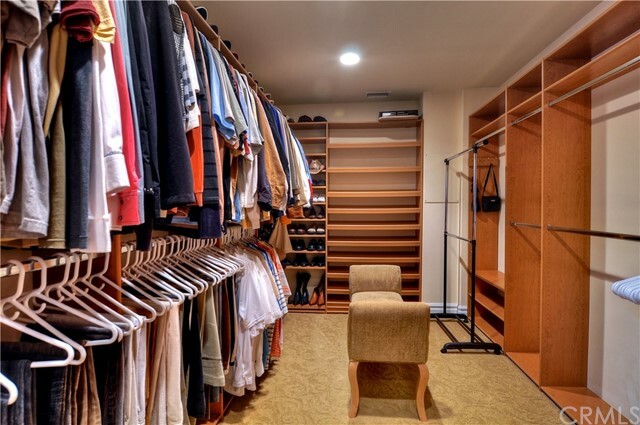 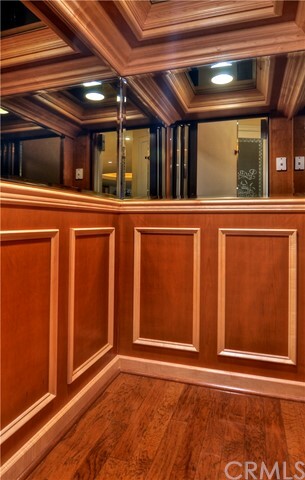 Or take the custom elevator to all levels. 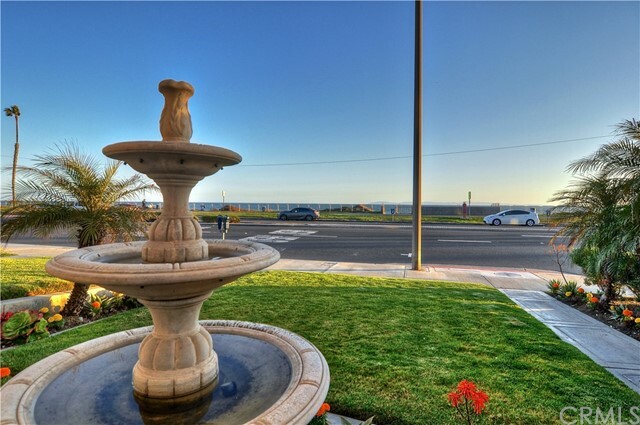 Front patio with fountain and grass. 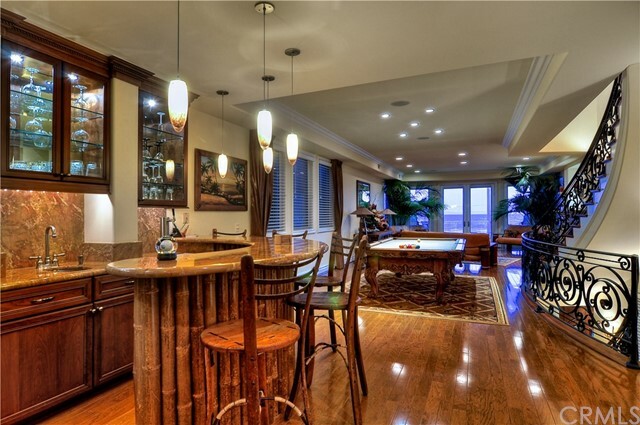 2nd level is incredible with Familyroom, Bonus Room, Pool Room, Bar with beer Tap, refrigerator & sink. 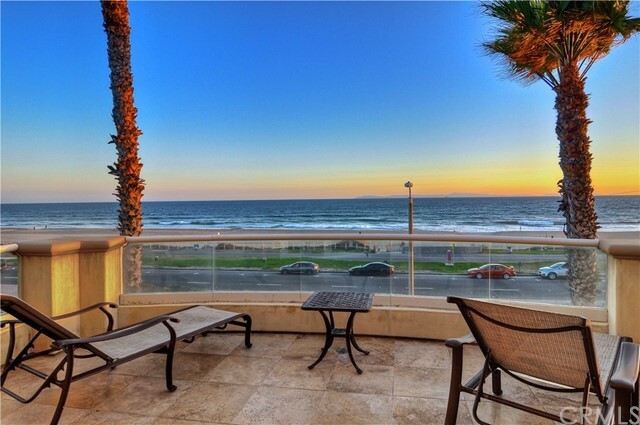 Panoramic ocean view balcony, TV media viewing room. 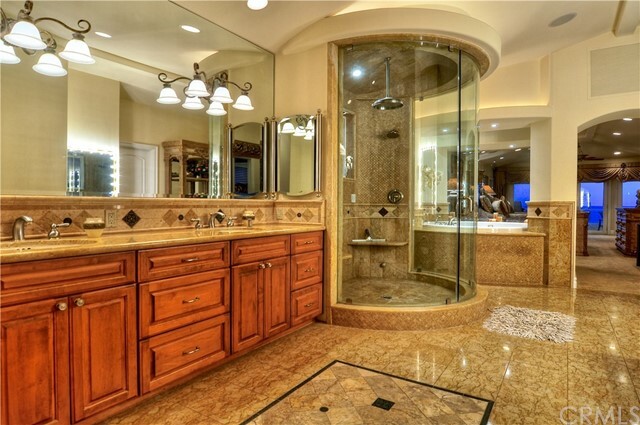 Full bath plus walk in Laundry Room. 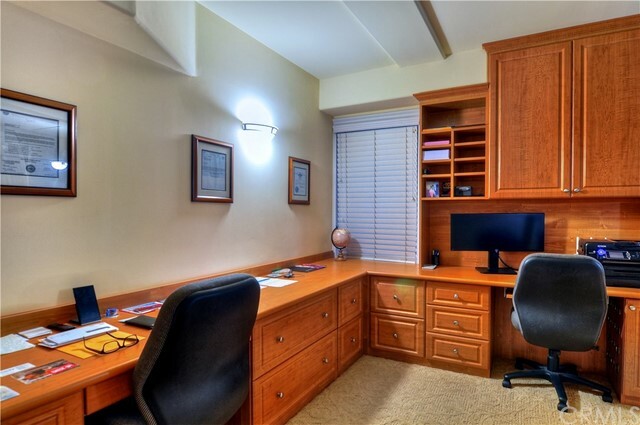 Office or 4th bedroom and FULL $100,000 gym. 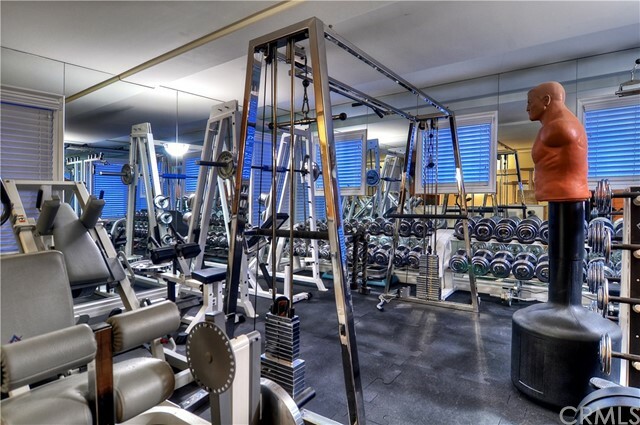 All equipment included with Dry Heat Sauna. 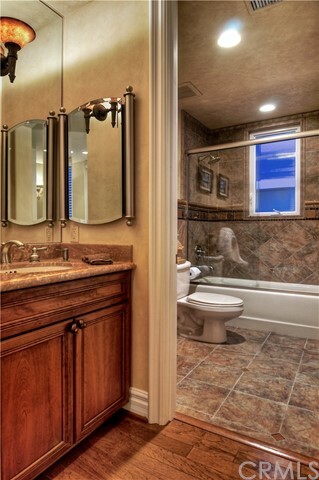 3rd level has back bedroom with its own full bath. 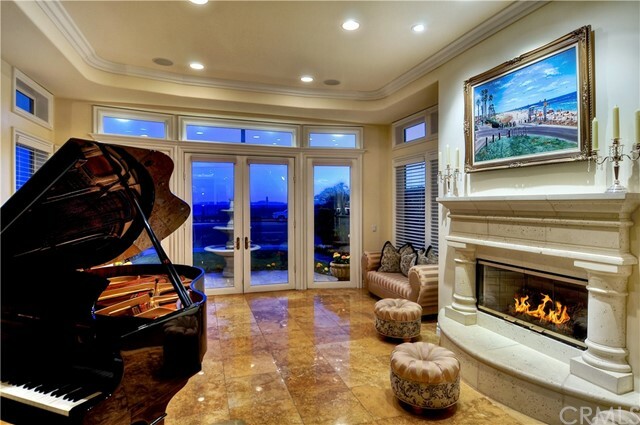 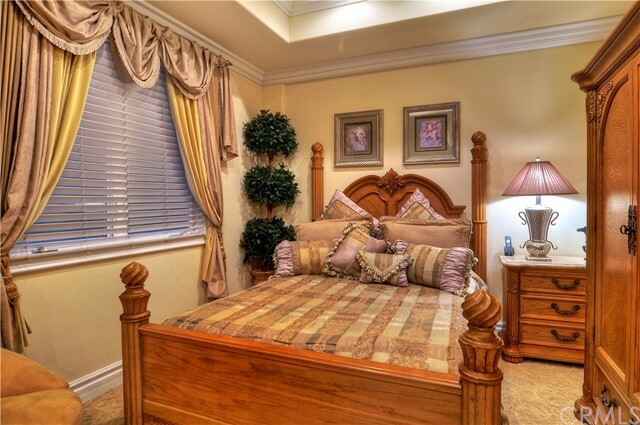 Master suite designed from Vegas Ballagio!! 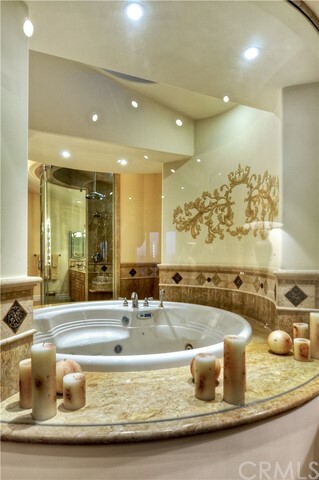 Custom glass encased, over sized Jacuzzi tub seats 4!! 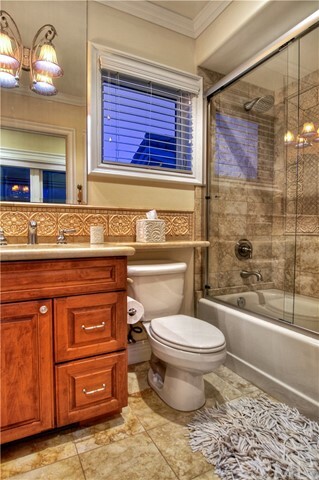 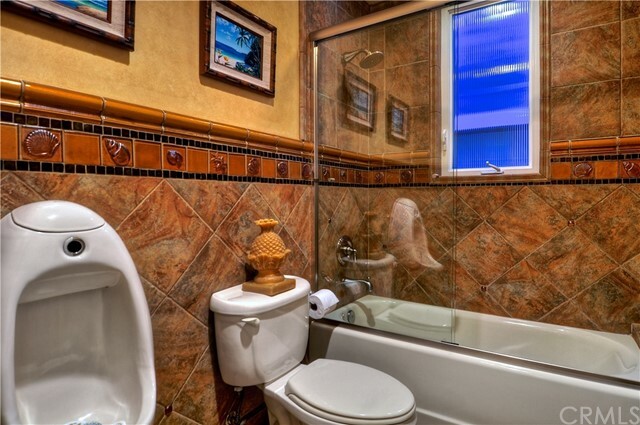 Separate tiled shower with multiple heads and elegant sit down vanity with special lighting. 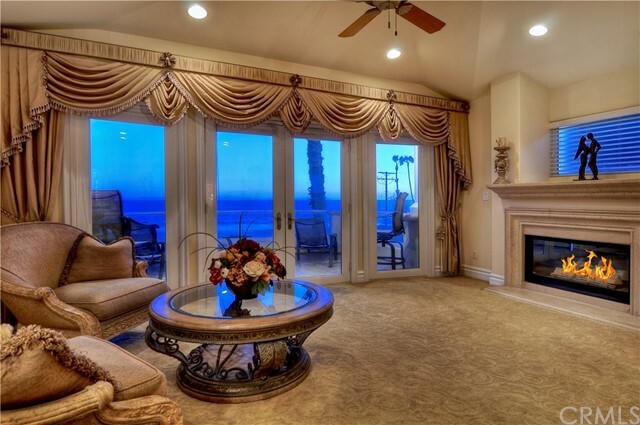 Giant walk in closet with organizers.Views from balcony extending from Palos Verdes to Newport. 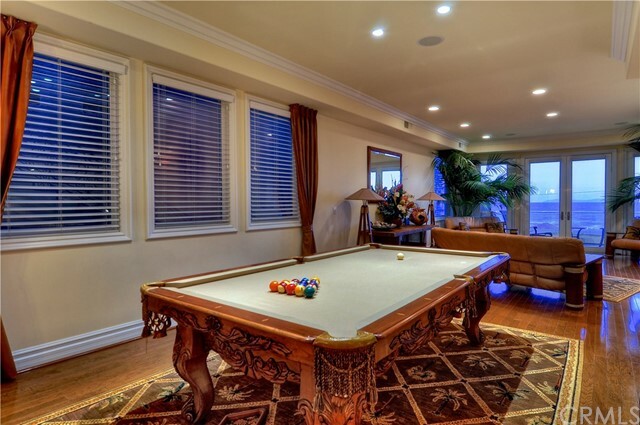 See amenities list for many more specialty and luxury items.